Isabelle Valibus is a dynamic a senior executive with expertise in consumer products in the food, hygiene and personal care sector. Most recently the Director Business Unit Retailer Brands EMEA at Kimberly Clark, a global leader in consumer health and hygiene products. Having joined the staff in 2002 as Cusomer Unit Business Manager, Isabelle oversaw business management for in B2C & E-commerce, as well as strategy in sales, marketing, category, planning and logistics. 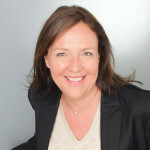 After earning a bachelor’s degree from the Lycée François 1er, Fontainebleau, Isabelle went on to complete a Master of Marketing and Sales from Excelia Group La Rochelle. She launched her career with Unilever, where she gained a decade of experience and in the Food / Cogesal Miko sector. Returning to school, she attended the Emerging Leaders program at the London Business School, and became certified in Executive Global Management Leading Digital Transformation / General Management at INSEAD. Isabelle’s outstanding track record of business transformation and “360° approach” has demonstrated her to be a skilled leader capable of producing real results in her teams, sales, and negotiations. She resides in Île-de-France, France, and speaks fluent English, French and Italian. Outside of her professional endeavors, she enjoys hiking, travel, and fine wine. Worldwide Association of Female Professionals Member Isabelle Valibus can be found on the Association Directory, where she is looking forward to networking with you.